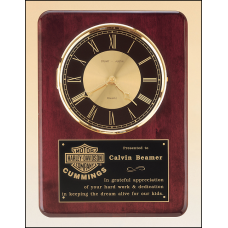 BC257 Small American walnut vertical wall clock with square face. 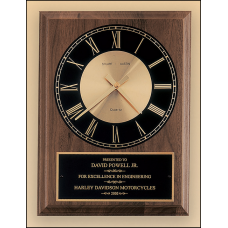 8" x 10"Clock supplied with lifetime guaranteed quartz movement.Laser engravable plate.Solid brass e..
BC258 Large American walnut vertical wall clock with square face. 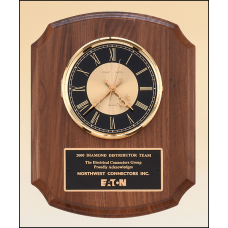 9" x 12"Clock supplied with lifetime guaranteed quartz movement.Laser engravable plate.Solid brass e..
BC308 American walnut vertical wall clock with 24 plates. 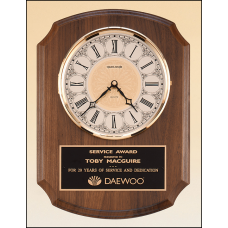 15.25" x 21"Individual plates are 1" x 3-1/4".Solid brass, diamond-spun bezel with glass lens, ivory..
BC380 American walnut vertical wall clock. 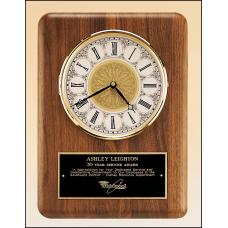 10.5" x 13"Solid brass, diamond-spun bezel with glass lens, ivory dial and three hand movement.Clock..
BC52 American walnut wall clock that can hang in either a vertical or a horizontal position. 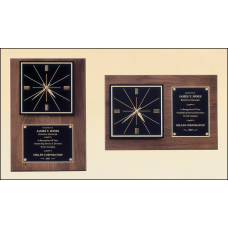 12" x 18"Clock supplied with lifetime guaranteed quartz movement.Laser engravable plate.Solid brass ..
BC55 Black piano finish vertical wall clock. 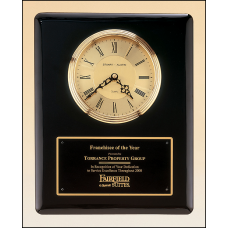 10.5" x 13"Waterfall bezel with glass lens, gold dial and three hand movement.Clock supplied with li..
BC612 American walnut wall clock that can hang in either a vertical or a horizontal position. 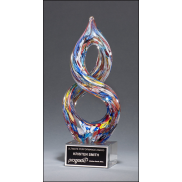 12" x 18"We can supply red, maroon, blue black or light blue velour backgrounds. 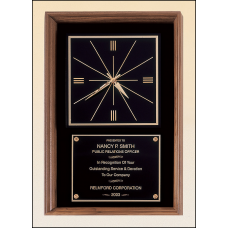 Shipped with black,..
BC68 Rosewood stained piano finish vertical wall clock. 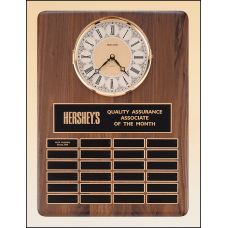 BC828 American walnut vertical wall clock. 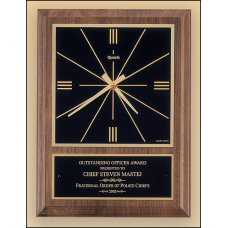 10.5" x 13"Solid brass diamond-spun bezel with glass lens, gold & black dial and three hand move..
BC888 American walnut vertical wall clock. 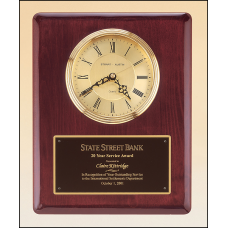 11" x 15"Solid brass diamond-spun bezel with glass lens and ivory dial.Clock supplied with lifetime ..
BC98 Rosewood stained piano finish vertical wall clock. 12" X 15"Solid brass diamond-spun bezel with glass lens, gold & black dial and three hand moveme..
SPECCLOCK1 Oak Frame with Golf Balls & Green Felt Background. 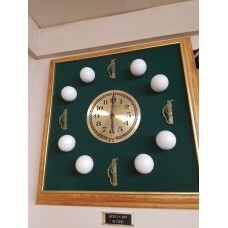 VINTAGE YARBOROUGH GOLF WALL CLOCK US MOVEMENT GREEN FELT 4 BRASS GOLF BAGS﻿..
SPECCLOCK2 Oak Frame with Pool Balls & Green Felt Background. 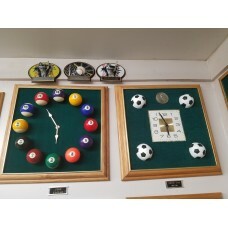 VINTAGE YARBOROUGH Pool Ball WALL CLOCK US MOVEMENT GREEN FELT ..